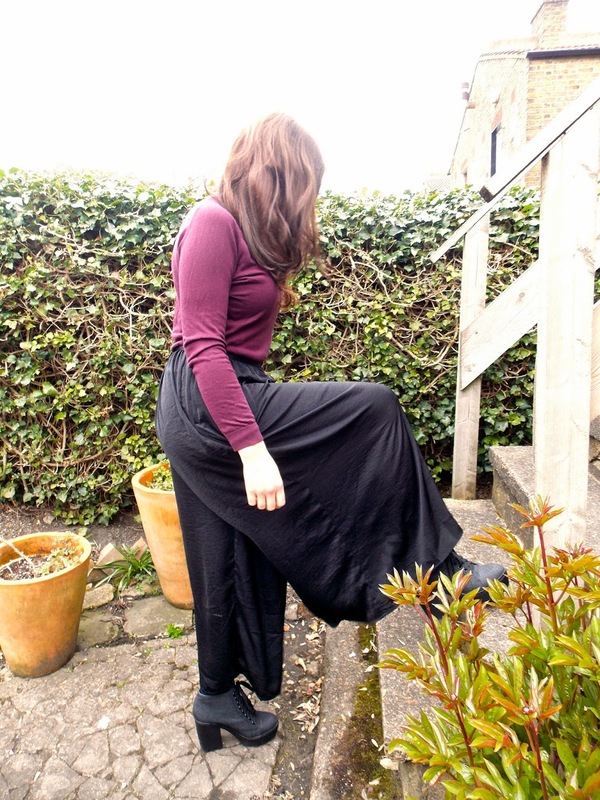 I did a blog post on wide legs trousers a few months ago and shortly after purchased this lovely pair from H&M. I wore them loads around Christmas time and mostly pair them with something tight fitted on top (my rule of thumb is that if something is very loose fitted, balance it out with something tight). They can be a bit of an awkward fit unfortunately because they are loose around the waist, the right fit on the leg then a little too short (in my opinion) on the length. Curvy women problems. I fix this by wearing heeled shoes with it. This also elongated the leg, which helps with my short height. 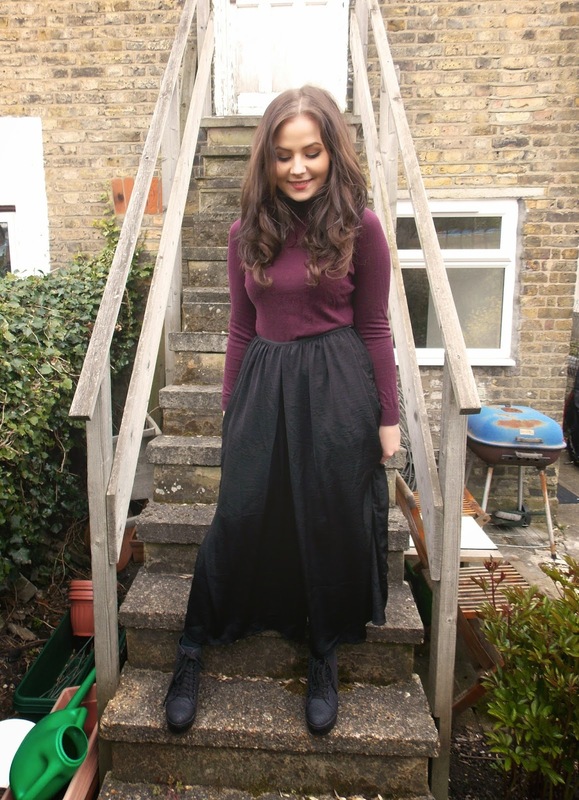 Overall though I adore the trousers. They are statement but because of the colour, I can get away with them on more casual events. The shoes I'm wearings are amazingly comfortable and I recommend them to anyone that wants a bit more height. Because they are platform with a bit of a heel, your feet are only at a slight angle so you don't feel it as much. On top of that the sole is a rubber material that doesn't make walking as uncomfortable as it is in normal heels. Only thing is that they aren't leather. So maybe not an everyday shoe, but for an occasion or a night out they're perff!